Sapporo, which is the capital city of Hokkaido, is a further 60 min flight to the north. Otaru is a small port city only 20 minutes by train from the capital city, Sapporo and 1 hour by direct train from Sapporo Chitose airport. The Chitose airport is brand new and an amazing place…well worth exploring on your journey in or out of Hokkaido. The shopping is excellent in Sapporo and some of the best shops can be found (like most Japanese cities) right at the railway station precinct. 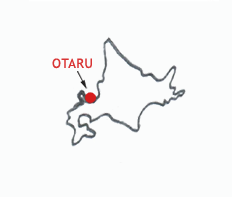 Once you have arrived in Otaru….Bus to the house takes 10-15 minutes from the JR railway station and 5-8 min by vehicle. There are plenty of taxis at the JR station and the usual cost is about $10-12 one way and by bus costs about $2.50 one way (but every trip on the local bus will cost you the same price). 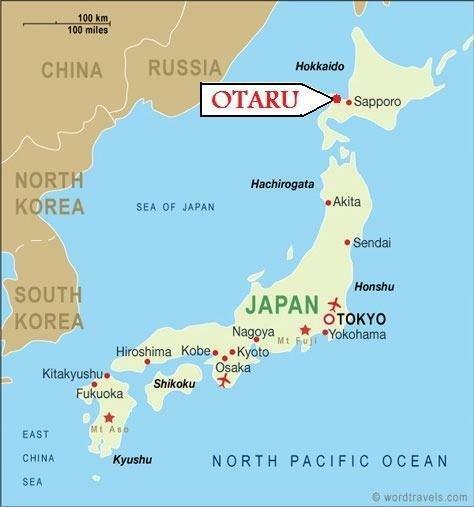 There is a very well priced vehicle hire in Otaru that we have sourced and the owner speaks perfect English. The house is located on the fringe of Otaru city in a suburb called Mogami 2. The house backs onto a natural silver birch forest on the side of the highest mountain peak of Mt Tenguyama. The BIG main image of this site shows the house location. It is the tall red roof house sitting in all that snow with the forest behind and the city and ocean in the background. Mt Tengu is a downhill resort with a ropeway (30 person gondola) and 3 chair lift overlooking the beautiful Otaru city and ocean port from the bottom and top of the ski runs. On a sunny day the view from the top is spectacular and the ropeway is open ALL year for sightseers. Although only a small ski run in comparison to other Hokkaido resorts it is an undiscovered treasure by western skiers, a fun mountain and right at your doorstep! It is a short walk or drive to the bottom of the lift. Many other fantastic ski resorts are within a 10 | 20 | 40 minute drive, bus or train ride away including Niseko, Rusutsu, Kiroro Snowworld, Asarigawa, Sapporo Kokusai, Sapporo Teine, Nikichomin and Snow cruise onze.